Thank you for all you do . 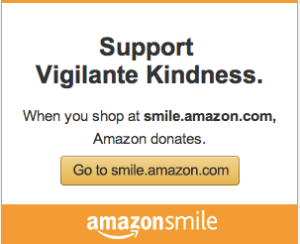 Vigilante Kindness is helping women in Uganda, one by one. What a horrifying story. You surely have had a bittersweet trip. I commend you for your commitment to these people. You are such a beautiful person, inside and out. I feel lucky to know you through Connect, and now through Vigilante Kindness. I am honored to send you a small donation each month. I’m wish it could be more. I would love to purchase some of the beaded jewelry. I pray that you have a house to go back to when you get back home. My heart aches for the women. The ignorance or tradition that would allow that kind of treatment to persist is appalling. I’m so thankful you can provide a source of income for the beaders to help stave off some of that horror. My thoughts and prayers are very much with you and those women.